Charles Lennox, the son of the Duke of Richmond, was born on 22nd February, 1735. After an education at Westminster School and entered the British army. Lennox served in several expeditions and distinguished himself in the Battle of Minden. He had reached the rank of colonel when he succeeded his father as the third Duke of Richmond on 6th August, 1750. He first took his seat in the House of Commons on 15th March 1756. In 1760 the Duke of Richmond was was appointed a lord of the bedchamber, but shortly afterwards quarreled with George III and resigned from office. Richmond became lord-lieutenant of Sussex and in 1766 was appointed by the Marquis of Rockingham as Secretary of State for the Southern Department. Richmond retired from office when the Earl of Chatham replaced Rockingham as Prime Minister. Richmond was a strong critic of Lord North's American policy. In December 1775, he declared in the House of Lords that the resistance of the colonists was "neither treason nor rebellion, but it is perfectly justifiable in every possible political and moral sense." It was during a speech made by Richmond in the House of Lords calling for the withdrawal of British troops from America that the Earl of Chatham collapsed and died. Richmond also joined the campaign to remove the causes of Irish discontent. He opposed the Tory policy of an Act of Union and argued that he was in favour of an "union but not an union of legislature, but an union of hearts, hands, of affections and interests". Richmond retained his hostility to George III and in December 1779 he called for a reduction in the spending on the monarchy and described the civil list as "lavish and wasteful to a shameful degree". 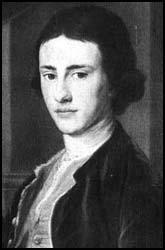 In 1774 Richmond read a pamphlet that his friend, Granville Sharp, had written, called The Natural Right of People to Share in the Legislature (1774). 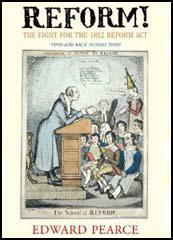 This created an interest in parliamentary reform, and over the next few years Richmond read several pamphlets on the subject including The Nature of Civil Liberty (1776) by Richard Price and Take Your Choice (1777) by Major John Cartwright. 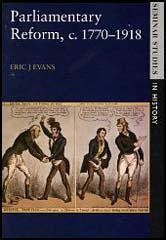 By the end of the 1770s most Whigs supported parliamentary reform. This included John Wilkes and Charles Fox. However, by this time, Richmond was the most radical in his party, supporting both annual parliaments and manhood suffrage. Richmond was now convinced that without parliamentary reform, revolution was inevitable. On the 3rd June 1780 the Duke of Richmond decided to push the Whigs into action by introducing his own proposals for the reform of Parliament. His bill included plans for annual parliaments, manhood suffrage and 558 equally populous electoral districts. Richmond found very little support for his radical proposals and his bill was rejected without a vote. The Marquis of Rockingham, the leader of the Whigs, died on 1st July 1782. Richmond attempted to become leader of the party, but his radical views on parliamentary reform ensured that he was defeated by the Duke of Portland. In April 1783 William Pitt invited Richmond to join his coalition ministry. He initially refused, but Richmond eventually joined the government and after that date showed little interest in the subject of parliamentary reform. In 1794 Thomas Hardy and John Horne Tooke of the London Corresponding Society, were charged with high treason. Hardy and Tooke argued that were not guilty of treason as the Corresponding Society had been constituted solely to carry out the reforms proposed by the Duke of Richmond's Reform Bill of 1780. Richmond was called upon to testify at their trial where he was forced to admit that in 1780 he had supported the same measures that had resulted in Hardy and Tooke being charged with high treason. Richmond was severely embarrassed by having to publicly acknowledge the radical views he had held before becoming a member of the government. Tooke and Hardy were acquitted and two months later the Duke of Richmond was sacked from the cabinet. This brought an end to the Richmond's involvement in government. He retired to Goodwood where he supervised the planning and construction of a race track near his home. From 1796 to 1800 Richmond only appeared in the House of Lords on two occasions. The Duke of Richmond spoke for the last time in the House of Lords on 25th June 1804. He died at Goodwood, Sussex, on 29th December, 1806 and afterwards was buried in Chichester Cathedral. Many may think, and with reason, that still greater reforms are necessary; and it may be well worth the attention of the public, whether, if this nation means to preserve its liberty, it may not be necessary to revert to those principles of a free constitution from which we have been for a long time insensibly but greatly deviating. I would also very much wish you to consider some plan which you would execute if in power for reducing the influence of the crown within proper bounds, and when digested to propose it to Parliament. The Chancellor asked Lord Rockingham whether supposing the measures he proposed were granted more would not be proposed? To which I understand Lord Rockingham answered that such a question might be asked with a view to create disunion where there was none, but he would answer it distinctly, if he meant a parliamentary reform it was we had equally at heart although we might differ as to the practical means, but that we differed fairly and honestly as men do about an end they wish to accomplish and that if we could amongst us settle some plan that could unite the opinions of the public.